Technoroof N with ventilation grooves slabs are designed to be used as the heat-insulation layer at new construction and reconstruction of buildings and constructions of different function. 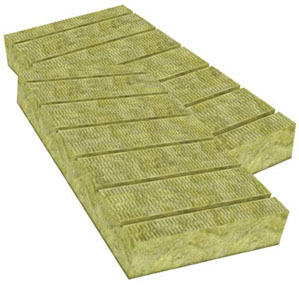 Slabs Technoroof N with ventilation grooves are intended for a heat-insulation of floors at roofs with the organization of system of ventilated channels. Slabs are recommended to be applied in a combination with the slabs TECHNOROOF V.
Technoroof N with ventilation grooves are nonflammable, waterproofing, heat and sound insulating slabs made of basalt stonewool with a low-phenol binder.